Subscribe to our Newsletter and receive one monthly e-mail with news updates and special offers. 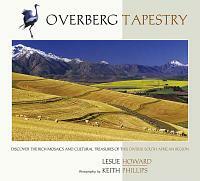 The Overberg - a short drive over the mountain. Driving southeast on the N2 from Cape Town, visitors will climb the Hottentots Holland Mountains via Sir Lowry’s Pass just after Somerset West. Fortunately, modern travellers have the luxury of a well-built highway, not like the early settlers who struggled over the mountain with ox and wagon. Once on the other side of the mountain, the traveller will find a myriad of roads into the Overberg where the land, mountains, sea and people tell their own story. The Overberg is a region that stretches along coasts with beautiful beaches, and over mountain ranges with interesting geological formations, abundant birdlife and fynbos. The roads will take you on a journey through valleys with picturesque vineyards, orchards and beautiful landscapes of green, gold and brown. Legend has it that the earth shares its healing power with mankind by letting hot water bubble up through earth’s crust. Hot springs still give relief to many ailments today. Thousands of years ago, the hot spring in the Overberg was used by the indigenous people living in the area. When the Dutch explorers first discovered the Overberg in 1694, they found the hot spring and its healing waters. The establishment of the town of Caledon was directly connected with the hot spring which gave much relief and healing to travellers over the following three centuries. The earliest European farmer living at the hot spring, and caring for guests was Ferdinandes Appel. 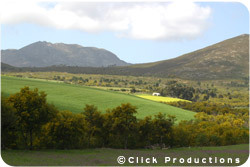 Be part of the largest On-line Business Directory for the Overberg. The epitomy of luxury living! Nothing can spoil a holiday more than feeling off-colour, and nothing can dull the pleasure of your holiday memories more than getting ill far from home. There are a number of health issues that you should be aware of, particularly if you're from the northern hemisphere. However, while there are risks anywhere, South Africa has a relatively salubrious climate and our levels of water treatment, hygiene and such make it a pretty safe destination. What is the distance and travel time from Cape Town to Hermanus?